What better way to celebrate World Emoji Day than with an emoji decorated box to store the emoji dies in which you used to make said box? This gorgeous little lidded box uses a set of emoji dies kindly gifted to me by a lady in Wisconsin USA. 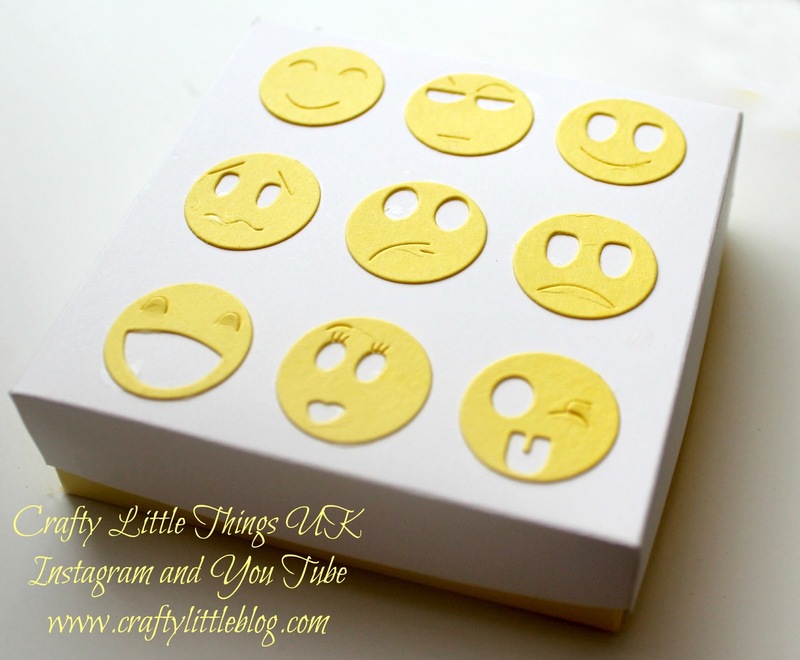 I used them to cut out the emojis using my Big Shot from Pineapple Punch cardstock which I also used for the base of this 3.5 x 3.5 x 1 inch box. The lid was made using Whisper White cardstock also from Stampin' Up! and I used a little Tombow liquid adhesive to secure the die cuts. Perfect cute, fun storage in minutes. Here's the video tutorial.